Back when I first started eating this way, the term ‘paleo’ was one you only heard around a CrossFit gym. These days you can find it on the shelf at your local supermarket, thrown across cafes and tagged on Instagram. I wouldn’t say I was one of the first to go paleo; maybe in New Zealand I was on the front of the wave, but almost 5 years into eating this way, I’ve certainly got my wits about me. In this time, I have been able to try plenty of products. Some good, some not so good and some I just can’t live without! With a market so flooded with products, I felt like an article with my top 5 products (in no particular order) that I can’t live without was a great way to cover off my must haves and give you my opinion right here, right now. If I had a dollar for every time someone asked me what Coconut Aminos are, I would be a very wealthy girl. Coconut Aminos is a seasoning sauce, and my direct replacement for soy sauce. End of. It also tastes better than soy sauce in my opinion too. So what’s wrong with soy sauce? Well, I avoid soy products as a general rule, but unless you specifically hunt out gluten free soy sauce or tamari, you’ll find wheat in most soy sauce. Coconut Aminos is gluten free, delicious and has the added bonus that it’s soy free too. I use it to make sticky chicken nibbles, asian chicken, in salad dressings and also add a dash to anything that goes in the slow cooker. My favourite brand is Coconut Secrets, which is pretty hard to get your hands on in New Zealand so I order it in bulk from iHerb (usually when they have a shipping special, because BOY their prices have gone up!). If you’re a first timer on iHerb, you can use discount code LCR423 at the checkout for a discount off! I promise not everything on this list will be coconut based, but there was no way I wasn’t going to mention coconut oil. Most oils on the market these days are rancid, inflammation causing crap. Soybean oil? Crap. Canola oil? Crap. Rice bran oil? Crap. These are all man made oils that hold no nutritional value, and all they do is quite simply cause inflammation in your body. Olive oil is great, but it has a low burning point which means you shouldn’t fry with it – it’s only intended to be gently warmed, if that. Coconut oil, however, has a high burning point which makes it excellent for cooking and frying with. It produces a beautiful result for me everytime. Since I’m dairy free, this also is an excellent 1:1 replacement for butter in any kind of baking. Most of you will know the wonders of coconut oil, but to give you a run down on its versatility, coconut oil can be used for: cooking, baking, oil pulling (helps with your teeth), makeup remover, moisturiser, hair treatments, great on eczema and much more! My favourite brand is locally owned, and probably the first on the NZ market, Blue Coconut. Blue Coconut is widely available throughout New Zealand and is a great business to support whilst also being one of the cheapest. Or ground almonds, or almond flour. Whatever you want to call it, it’s all the same thing. It just may vary a little in texture. I like blanched ground almonds if we want to get technical. This is a must have in the kitchen for me. Since I don’t eat traditional flour, you’ve got to replace it with something if you wanna have fun and eat delicious baked goods. That for me, begins with almond flour. I use it in many different ways; the main being baked goods. It can be pricy, but in my opinion, it’s worth it. I also use it when making fritters of any description, crumbing chicken pieces to go in the oven and much more. My favourite way to buy it, is in the 400g Pam’s Ground Almond bags. I only ever find these at Pak’n Save in the nut section, and maybe a New World on a very rare occasion. They’re usually around $8NZD. I’ll quite often buy two at a time, and thats me stocked up for a long time! You can however, also get it in Countdown in the nuts section for around $9 for just under 400g I believe, by the Fresh Life brand. Ok, look, I know I said it wouldn’t all be coconut but the truth is, coconut is not just a superfood, but a wonderfood. Coconut cream had to go on my list because again, I use it constantly. It probably gets used most days in my house. I’ll admit it’s usually for chocolate pudding that I have been obsessed with (recipe is going into my upcoming keto ebook! ), but I use it in my Chicken Pesto Pasta recipe, baked goods and dairy free ice cream… Just to name a couple! You’ve probably noticed by now that I’m dairy free. This requires a lot of substituting. Coconut Cream is an excellent substitute and versatile for sure. It’s also a wonderful source of fat! My favourite brand in NZ is FiaFia. It’s low in additives, and is wonderful and thick in the can (if not sometimes solid when it’s cold). You can find it in the milk products aisle of your supermarket, usually by the tea and coffee! You guys, it just wouldn’t be a must have list if I didn’t put mayo in. My love for mayo doesn’t escape many people and it’s a daily appearance in my food. I often get asked if I want some food with my mayo. It’s a long term love affair and there was no way I was giving it up when I went paleo. So I don’t usually buy it from the store (if I do, I buy Sabato as it’s the only one in NZ that’s got good quality oil in it), but I do make it myself. I can’t live without this. It goes on everything. 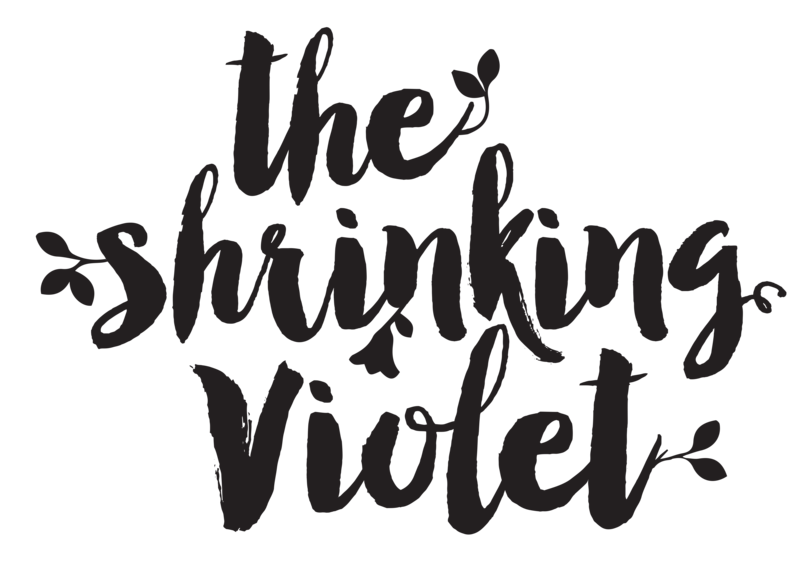 You can find the recipe in my first eBook ‘The Shrinking Violet eBook’. It’s super simple to make – check out this video here. So there you have it – my top 5 paleo must haves. And I promise my kombucha guide will happen eventually! What are your must haves? Does your list have these things too?